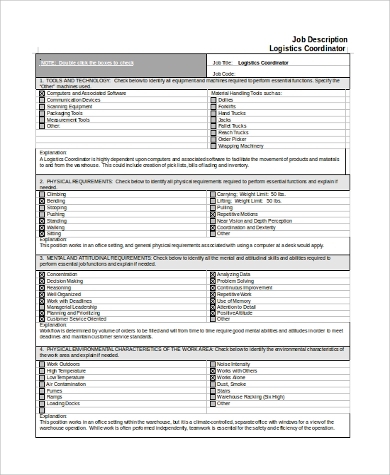 The main job of a coordinator is to make sure that everything is in place and on schedule. He or she needs to organize different activities for an institution and events for different clients. Also, for the entire project to work, a coordinator shall always check the people or departments assigned for various tasks so everything will flow smoothly and the workforce can have harmonious relationship. 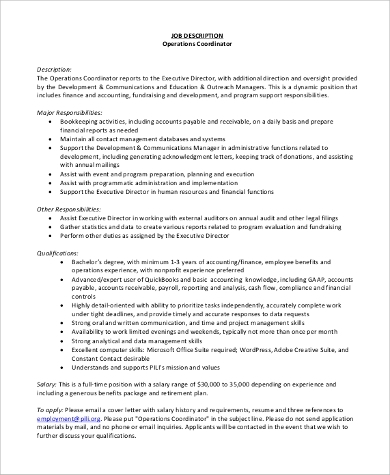 In this modern times though, with the demand of different markets and clientele, the works and job description of a coordinator may vary depending on what he or she is coordinating. 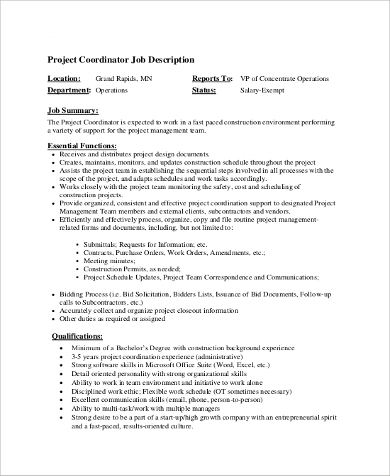 If there are other jobs than being a Coordinator interests you, you may check other Job Description Samples. Marketing. 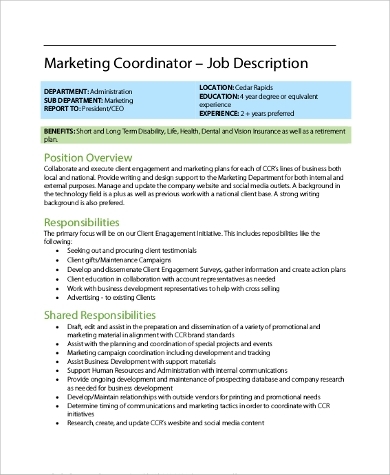 This industry needs coordinators to create campaigns and make them happen through the help of the marketing team. Project-Based Institutions. Coordination is needed on different projects depending on the client at the moment. It may include birthdays, weddings, a product reveal and more. Sales. 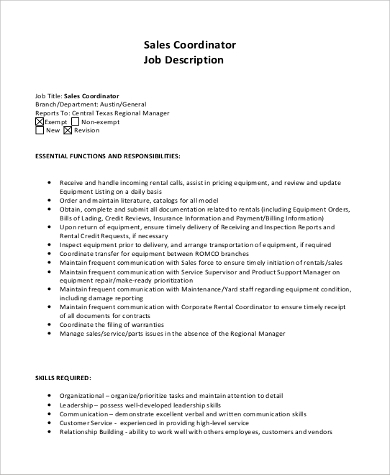 A coordinator is needed to assure that the sales team are doing their best to hit sales targets. A sales coordinator may be in charged with programs to improve sales performance. Company Operations. Being able to interlink all the departments of the company and know that all are working effectively is a task needed to be done by coordinators as well. Events. We all know that a single event has a lot of demands. Having someone assure that everything is settled for a certain event is a big help. 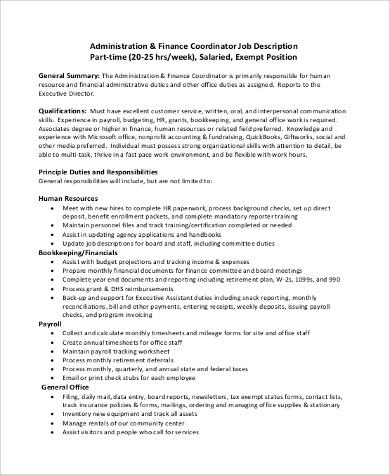 If you are interested with this kind of job, Event Coordinator Job Description Samples for more information. Front Office. Through the help of a coordinator, a great work flow in the business front line in the hospitality and industry assures great business and customer feedback in return. Finance. Cash flow and anything related to money is really hard to look after to every time. Coordination is truly needed in here. 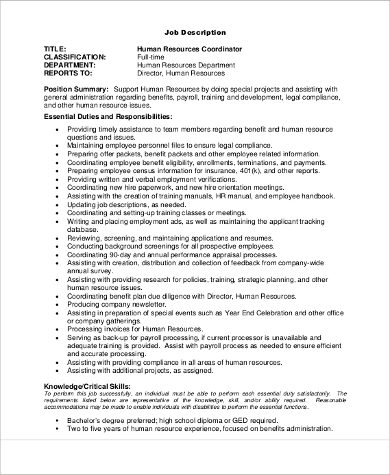 Human Resources. To assure great employee relations and that administrative tasks are done, coordinators are also needed in this line of work. Universities. Schools also need people to do billings and create relationships between their stakeholders. 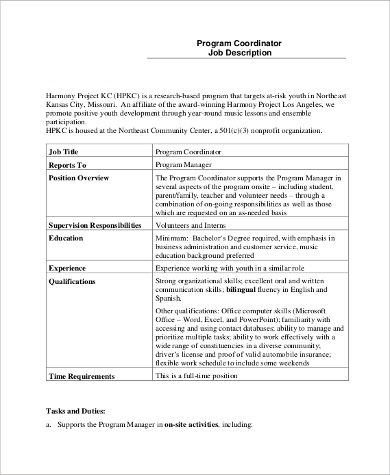 Should you want to learn more about this job, you may check Program Coordinator Job Description Samples. 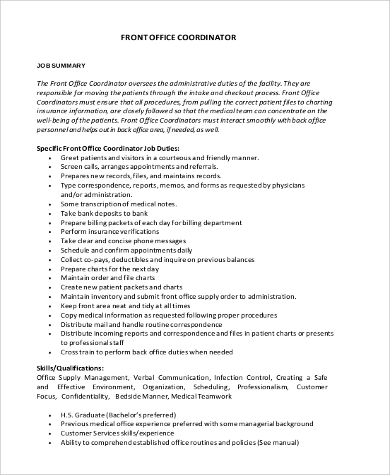 A program coordinator may also work for other industries other than schools and educational institutions. ability to build rapport with a project or company’s stakeholders. 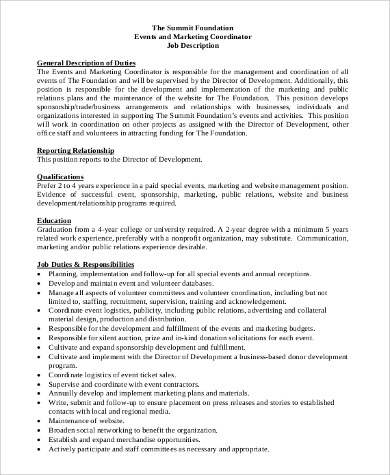 If you have seen all the types of coordinator jobs and wanted to pursue it for a career in the industry of marketing, you can go to Marketing Coordinator Job Description Samples for reference. If other coordinator jobs made an impact to you after reading this article, always chase for your dreams of becoming one.